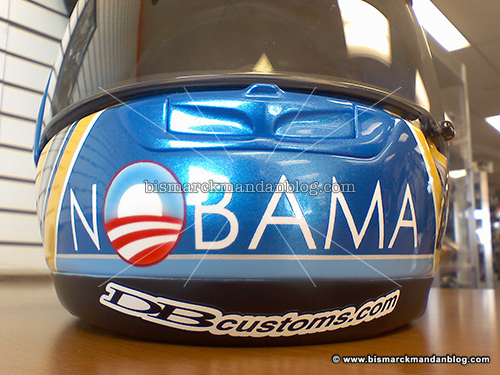 My friends at Cycle Hutt are sportin’ some custom lids that are not shy in declaring some popular views held by most North Dakotans! 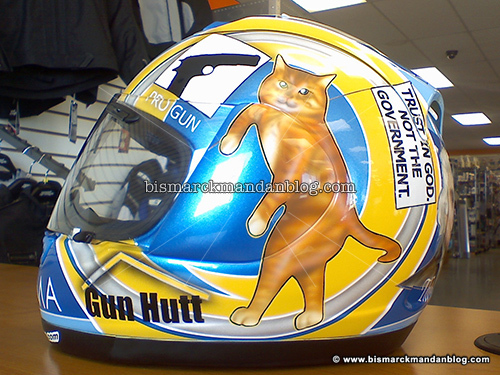 The shop kitties are also prominently featured on this particular helmet. You’ll see them basking in the sun around the shop when you visit. “Trust in God, not the government!” That goes for Republicans and Democrats. Men are just men: imperfect. Sure, conservatives are far better than liberals, but individual people are not without their occasional flaws. There’s nothing like a quote from the Founding Fathers to speak volumes. By the way, if you like quotes from our nation’s founders and prominent early American leaders, visit the Wallbuilders website and subscribe to the free podcast! Yesterday I posted a photo of a locally flown Gadsden Flag. 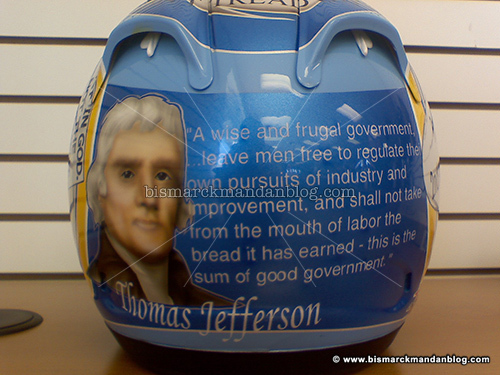 It also has a prominent placement on the top of this helmet. 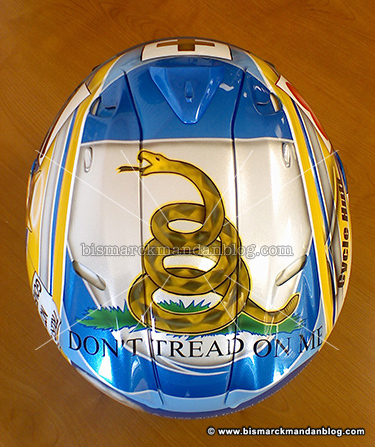 Don’t Tread on Me is a great expression of the spirit of the modern motorcyclist, who has a target on their back just like anyone else the liberals don’t like. Pro-Life. 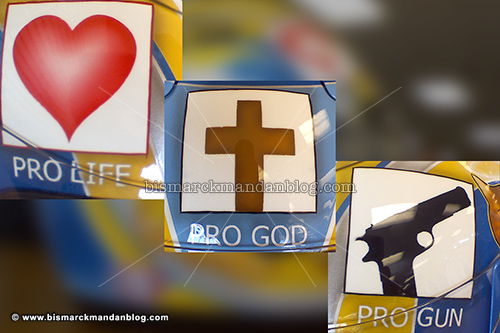 Pro-God. Pro-Gun. God Bless America! Three of my favorite sentiments, as one of those “bitter clingers” President Obama was talking about when he didn’t think the microphones were on. The “NOBAMA” thing is gaining a lot of traction as people finally snap out of it and realize who was elected President last time around. His numbers are plunging as eyes continue opening. So much for Hope™ and Change™, eh? I’ve got lots of various helmet photos (I own seven of them myself) that may trickle in here from time to time. 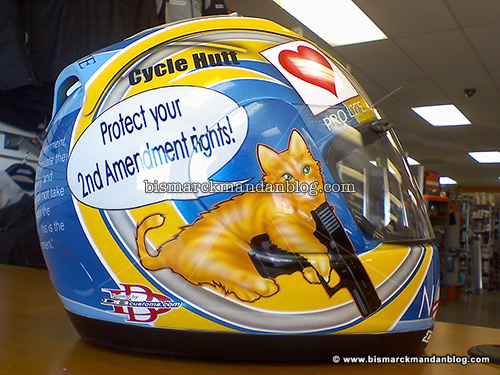 I’m not in favor of helmet laws, but I don’t ride without one!